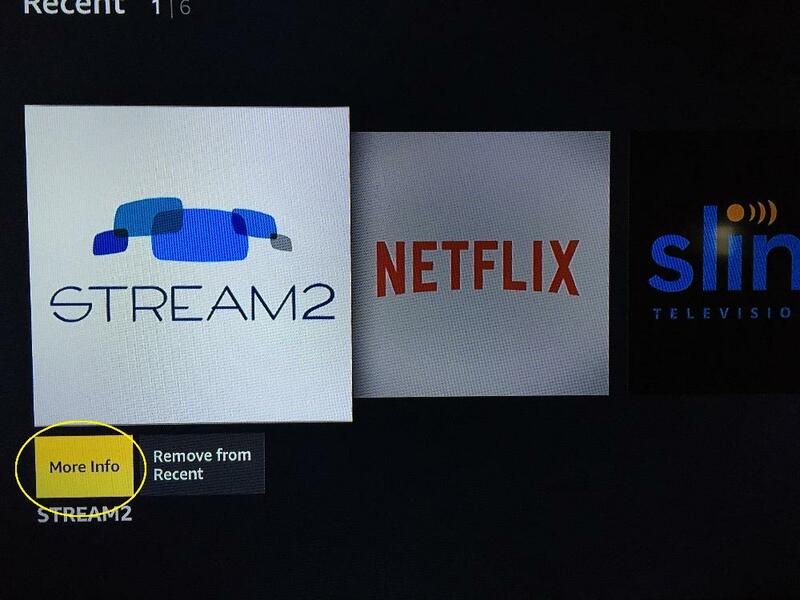 Navigate down to ‘Apps’ on the Fire TV main menu and select Stream2, but instead of launching press the navigation ring in the down direction and select 'More Info'. On the next screen, the word ‘Overview’ will be highlighted. 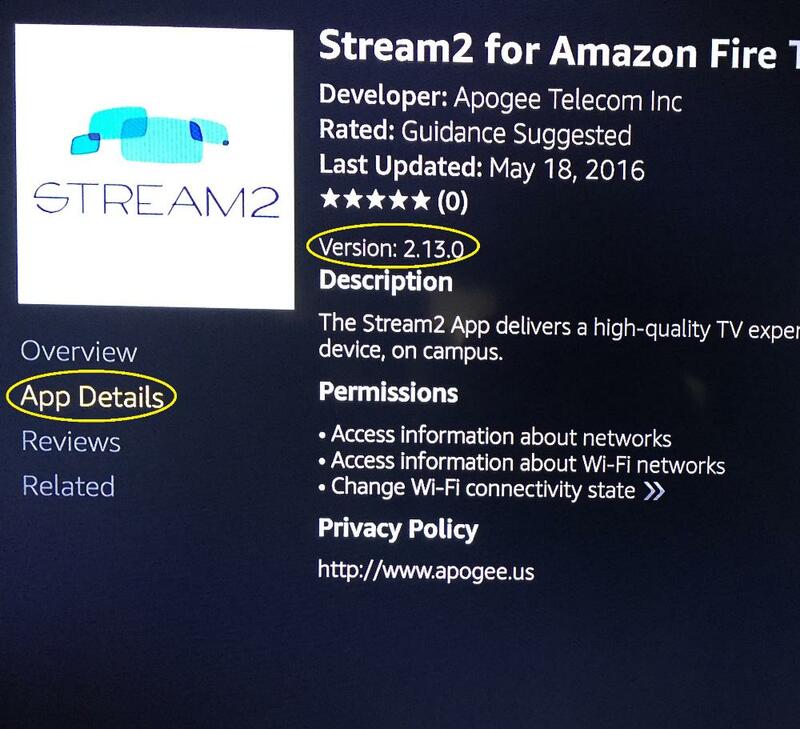 Press the navigation ring in the down direction and select ‘App Details.’ The version number is just above the Description.